Download our BullionVault app to either your iOS or Android device to start buying and selling bullion on the move. 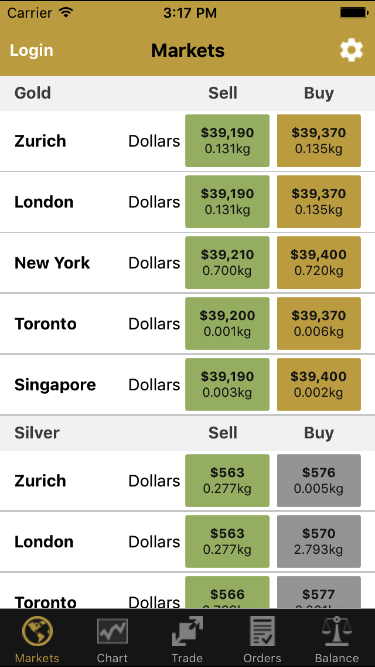 Over $127 million (£97 million) worth of gold, silver and platinum have been traded via orders placed through the apps on smartphones and tablets in the last 12 months. The app is free to download on either type of device. A BullionVault account isn’t required to download and access a number of the app’s key elements. Monitor short-term price changes over the last hour. You can also view price movements over the last day, month, year and 5 years. 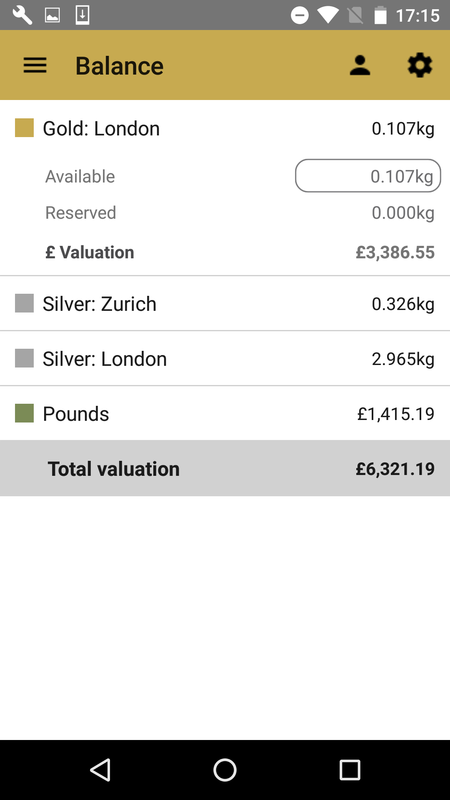 You can access the live bullion-trading markets without logging in and customise the app so only markets of interest to you are displayed. BullionVault clients can securely sign into their account on the app and check their current balance of bullion, currency and the up to date valuation of their gold, silver and platinum holding. Open and closed orders from the past 30 days can all be reviewed. You can then buy gold, silver and/or platinum within seconds or sell your bullion with an instant settlement. All of which is secured in your choice of a Zurich, London, New York, Singapore or Toronto vault. Nine different language settings are available. These include the major European languages along with Japanese and Chinese. Through the app you can buy and sell bullion at weekends and holidays because, unlike any other physical bullion market worldwide, BullionVault’s live order board remains open 24/7. The apps have had 250,000 downloads and has so far been used across 213 countries. User reviews include, “The only app which made mobile gold trading possible!” and “really quick and simple to use”. Opening a BullionVault account provides you with 4 free grams of silver so you can start trading risk free. This includes downloading and opening a trading account with the app. The process from download to trading your free silver takes less than 90 seconds. 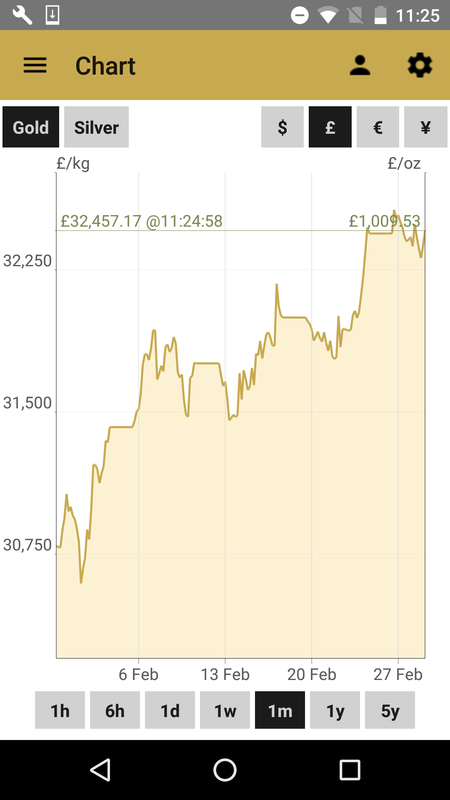 Android platform: 21.390kg of gold bought for £500,310.60. iOS platform: 31.467kg of gold sold for $1,315,320.60.